Our nation’s veterans are a valuable resource, but translating the skills and knowledge they gained while serving our country can sometimes be a challenge. One avenue to consider is franchising. Franchising allows veterans to utilize the leadership experience they learned in the military as a civilian. In fact, according to the International Franchise Association (IFA), veterans own one out of every seven franchises in the United States. Veterans are trained to work and serve within the system that is the military. No matter what branch, that experience can be transitioned to the framework of a franchise. Veterans are a great fit for the franchise business model because to be successful franchisees must be able to follow an established system. Vets have been trained to follow orders and comply with a system. What’s more, overcoming obstacles is at the core of all military training. Veterans have been installed with a mindset that sees obstacles as challenges, not insurmountable problems. Facilitating the transition from military life to franchise life is at the heart of the Veterans Transition Franchise Initiative or VetFran. This directory includes more than 600 franchise companies that offer specific incentives to veterans, including financial assistance and training. Since 2011, VetFran has helped more than 6,500 veterans pursue franchise ownership. What are some franchises that are particularly well suited to veterans? With 10 percent of its franchises operated by veterans, FASTSIGNS provides the tools veterans need to create a successful business for themselves and their families. A key incentive includes 50 percent off the normal franchise fee, as well as reduced royalties for the first 12 months of operations. Thirty years of history and a recognized name are also reasons that veterans have flocked to this franchise. Finally, FASTSIGNS offers the opportunity for husband and wife teams, and even children, to participate in the business, making the franchise a family effort, earning the company a position in Franchise Gator’s “2017 Top 100” list. The Senior care industry is one that the foundation of military training—discipline, leadership, ambition and work ethic—works especially well with. Generating more than $75 billion in profits every year, the home health care industry is expected to see demand increase even more as growing numbers of baby boomers reach 65. A leader in this burgeoning industry, Home Helpers has given veterans yet another way to give back to their communities. One incentive Home Helpers offers is comprehensive training to support franchisees through every stage of ownership, as well as $5,000 off the franchise fee and a 10 percent discount for veterans. Additionally, the company’s nearly 20 years in the business have earned them recognition, including a ranking of “Top Senior Care Franchise” by Entrepreneur.com for five consecutive years. 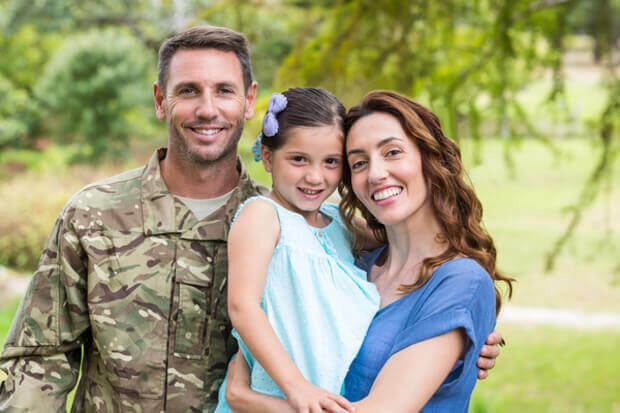 Protection comes natural to veterans, and Window Genie has spent 20 years striving to help homeowners protect their biggest financial investment—their homes—with their window cleaning, tinting and pressure washing services. Bringing veterans on board is a natural move. The military’s leadership, management and problem-solving training pairs perfectly with traits a successful franchise owner needs to achieve success. To help veterans make the transition to a second career as a franchise owner, Window Genie offers a discount of up to $7,500 to buy into their franchise system. Continuing to serve and protect is a natural decision for many veterans, which is why security franchises are such an ideal fit for the military training and skills they acquired during their years of service. Signal 88 Security recognizes the potential veterans possess to succeed in their franchise system, thanks to their innate understanding of what it means to provide security. Whether it is technology assistance, equipment or training, Signal 88 Security franchisees know they have the support of the entire system as they work to achieve success in their second career, including a 10 percent discount off the standard minimum franchise fee for honorably discharged vets. From a discount package for veterans valued at $15,000 to inclusion in Franchise Business Review’s “Top 100 Vet Friendly Franchises,” MaidPro aims to assist veterans as they transition from their military career to a successful civilian franchise. 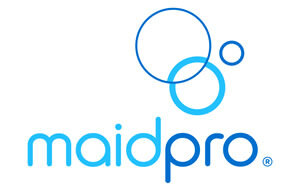 MaidPro’s discount package includes $3,000 off the initial franchising fee, a $100 invoice credit each month for the life of the 10-year franchise agreement and financing assistance. Offering a flexible schedule that is conducive to family life, MaidPro provides growth opportunity, low startup costs and an in-demand business opportunity. The future of franchising is bright for former members of the military. Thank you for your service, and rest easy knowing that the training you received is valued by more than 650 franchise systems offering incentives to veterans. No matter what industry interests you, there is a franchise waiting to utilize your unique blend of skills. Since 2003 Signal 88 has been securing homes and businesses around the country. Their superior technology, well known brand, and officer verification puts them above the rest. Take advantage of this opportunity today.